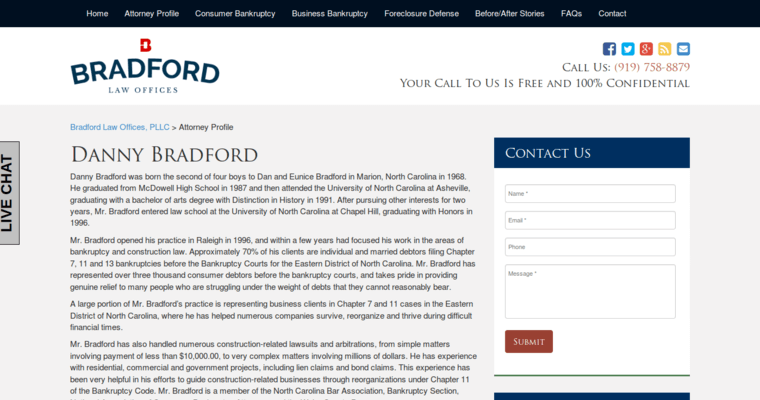 With over 17 years of experience, Bradford Law Offices has faithfully served Greater Raleigh and Cary by advocating on behalf of consumers struggling with debt. Although you may find yourself in an overwhelming financial situation, Bradford Law Offices will be able to provide you with the best legal options that will restore you to financial freedom. 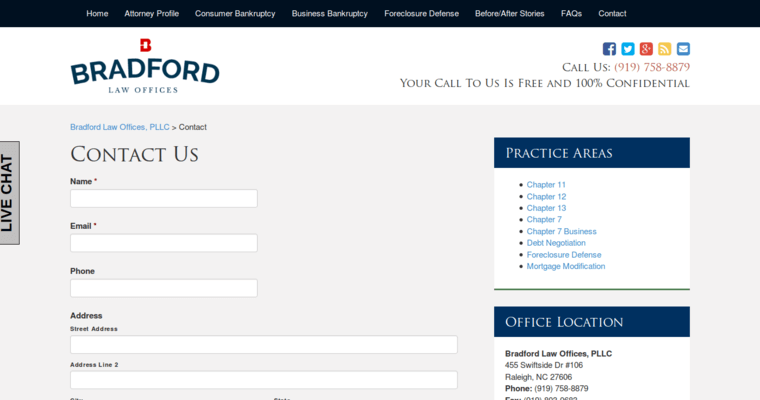 Bradford Law Offices legal services may include options such as filing for bankruptcy, debt negotiation, and foreclosure defense. The firm will investigate any potential claims and assert the best legal options for you. 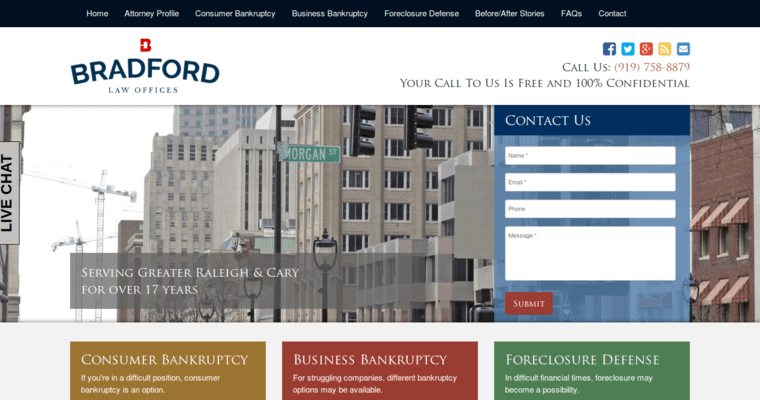 No matter how severe, whether you are threatened with losing your home or creditors obtaining judgments against you, Bradford Law Offices is here to advocate on your behalf.